Google April 2012 Update Underway? Overly SEO Or Something Else? 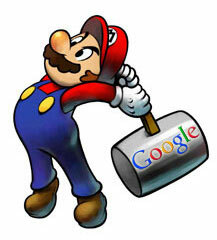 Home > Google News > Google Updates > Updated: Google Update April 2012? Over SEO Penalty? In the past 20 hours or so, I have seen a huge uptick in the number of complaints in the Google Webmaster Help forums with people complaining that their sites no longer rank in Google. I saw a recent post where several sites were asking about their search rankings. The short explanation is that it turns out that our classifier for parked domains was reading from a couple files which mistakenly were empty. As a result, we classified some sites as parked when they weren't. I apologize for this; it looks like the issue is fixed now, and we'll look into how to prevent this from happening again. So I guess we are still on a holding pattern for the over optimization penalty. I captured 11 different complaint threads before stopping, I suspect there are about 25 or more complaint threads and many many more webmasters suffering from a possible Google update. Here are some of those 11 threads; #1, #2, #3, #4, #5, #6, #7, #8, #9, #10, #11 and many more. Our niche has been heavy shaked up. Most of the upcoming ecom sites are low quality - > I think it has somthing to do with the "overoptimzed" and "level" efforts, cause this shops only have little ranges and will not hit the SEO overoptimized barrier. Google has not officially announced something yet, but this can very well likely be the overly SEO penalty Matt Cutts pre-announced. Keep in mind, we had a Panda update a few weeks ago, Panda 3.4. Did you notice major changes in the search results?